Today is the final day of Climate Week so I thought I would save the best tip til last! Climate week is all about reducing your carbon footprint and increasing the energy efficiency of your home, but it is easy enough to say this, but knowing how is essential! This is why tip number 5 is educate. Educating everyone from childhood to adulthood is key if we are going to live in an environmentally friendly world, without it, we are fighting a losing battle. Although Climate Week is about reducing your carbon footprint you can make some awesome savings through double glazed windows, solar panels, insulation or buying local produce. I am pretty sure that by now most people will know at least one way to reduce your carbon footprint, so if you can share these ideas with a friend, who passes them to another, who passes them to another, eventually everyone will have an expansive knowledge of how to live greener! Simple steps like this can lead to you living more economically. By living a carbon neutral life you give your children and grandchildren more of a chance to see wonders like the glaciers in the North pole, polar bears, penguins, tigers, elephants and sharks. Not only does it increase the risk of extinction for these animals, but hurricanes and storms will become stronger, malaria will spread further as the globe is warming. With the earth becoming warmer it can have some hugely detrimental effects on ecosystems increasing the risk of extinction for a lot of creatures! A recent article in the DailyMail stated how a foreign blood sucking parasite has been spotted in the UK, scientists claiming it is due to global warming. It is not just a new species that has immigrated here, as with these ticks comes disease! Dermacentor reticulatus has travelled from across the continent and are becoming increasingly common amongst dogs in the UK, potentially giving them Lyme disease, which effects the heart and nervous system. The ticks are then prone to latching onto a human for fresh blood, creating further problems for us. 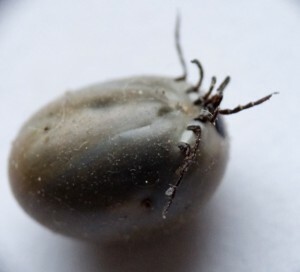 Although ticks and Lyme disease already exist across the UK, these migrating ticks are increasing the risk for us and our pets of catching the disease. We need to start helping, but in a world that has grown to rely on so many unhealthy methods it is not going to be easy! Education is definitely a good starting point to progress in the battle with global warming. Anglian Home Improvements helping you improve your homes energy efficiency. Visit the Anglian website for information on our photovoltaic solar panels. Educating everyone from childhood to adulthood is key if we are going to live in an environmentally friendly world, without it we are fighting a losing battle. Although Climate Week is about reducing your carbon footprint you can make some awesome savings through double glazed windows, solar panels, insulation or buying local produce. A recent article in the DailyMail stated how a blood sucking parasite has been spotted in the UK due to global warming. It is not just a new species that has immigrated here, but the disease they bring! Dermacentor reticulatus has travelled from across the continent and is becoming increasingly common amongst dogs, giving them Lyme disease which effects the heart and nervous system. The ticks are then prone to latching onto a human for fresh blood. We need to start helping, but in a world that has grown to rely on so many unhealthy methods it is not going to be easy! Education is definitely a good starting point.